In this lesson, we will learn how to count backward from 10 to 0. Complete the following pattern: , , 4 , 3 . Complete the following pattern: 9 , 8 , 7 , , . 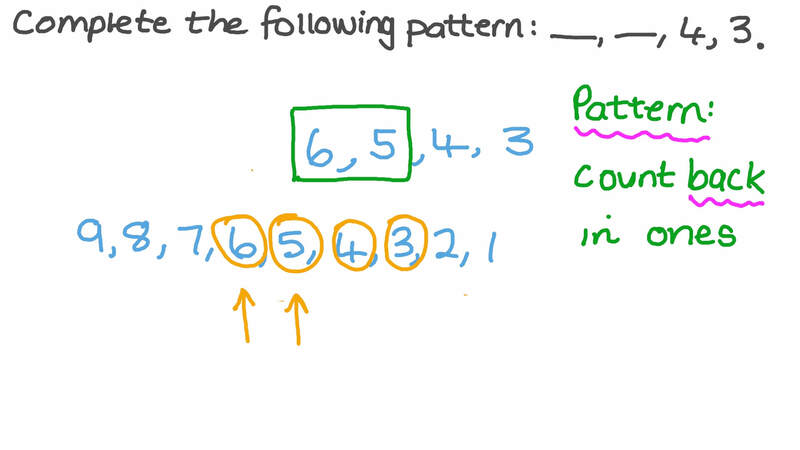 Complete the following pattern: , 8 , 7 , .